Steven Bicknell has recently joined Brown&Co, having worked for the Valuation Office Agency for 31 years, and gives his take on the Business Rates system as it stands today. 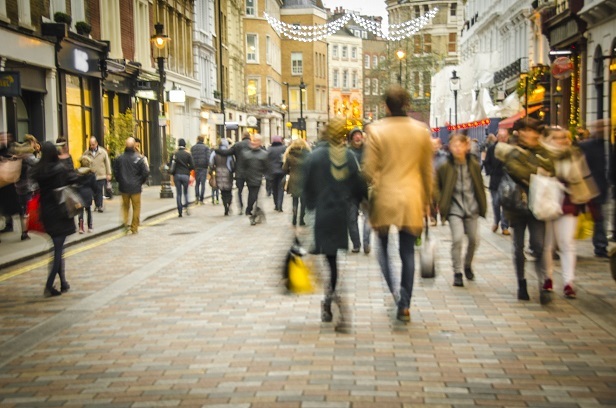 Business Rates continues to be a very topical subject and, at the moment, a lot of talk is focusing on the High Street versus On-line Retailer debate where high street retailers use expensive high street premises as opposed to free virtual showrooms and cheap distribution warehouses. That debate has only been inflamed by the chancellor's budget statement whose help for the high street initiatives completely miss out the large retailers who are suffering the most. Despite the criticism that surrounds Non-Domestic Rating (to give Business Rates its more official title) a recent review by the government concluded that it is here to stay, at least for the medium term. This is contrary to what many people were expecting and no one was more surprised than the employees of the Valuation Office Agency - the government department responsible for setting the Rateable Value for each property in the country. Many in the department thought it would be replaced by a land tax or something similar. To further this commitment, the government announced that revaluations would now take place every three years, as opposed to the five yearly cycle that had prevailed before. So why have the government committed to a system that everyone seems to be saying is unfair and outmoded? The short answer is stability. Business Rates raise roughly twenty-five billion pounds each year and this amount is guaranteed because of the way the system works. Being revenue neutral it doesn’t fluctuate like other taxes. This guarantee is attractive to any government but particularly to one that is about to lead us into a very uncertain period. The appeal system has also undergone a radical change with the introduction of ‘Check Challenge Appeal’. While there are some good intentions behind the new system, it is no secret that it is designed to drastically reduce the amount of appeals that are submitted. To look at it from their side, only 29% of all appeals to the 2010 Rating List have resulted in a change to the Rating List. There are 100,000 of those appeals still outstanding but, if that rate continues, it will mean over 800,000 appeals will result in no change to the list. This is a colossal burden on the department and costs a fortune to administer. While a good number will have been genuine appeals that were resolved with the appellant accepting the VOA’s evidence over their own, it also shows there were a lot of broken promises made to clients when they signed up a company up to represent them. The registration process for Check Challenge Appeal is cumbersome but it is designed to protect ratepayers from scams by rogue companies masquerading as professional agents who take an initial fee and are never seen again. The system does, however, impose an emphasis on the appellant to supply their full case at the ‘Challenge’ stage. This must include all supporting evidence as well as a narrative of the thought process behind any proposed Rateable Value. If you don’t reveal everything at this stage then you won’t be able to add to it later in the process - unless it can be proved the information couldn’t possibly have been around, or available, at the time of the submission of the challenge. This places a huge burden on the appellant, making it very hard for someone to put a case together if they have never done one before. To a small business this will be a particularly daunting task. This is where Brown & Co can step in. They will carry out a free initial appraisal of your Rateable Value and then discuss with you whether it is worth taking it further, giving you the chance to weigh up the costs of doing so against the chances of success.